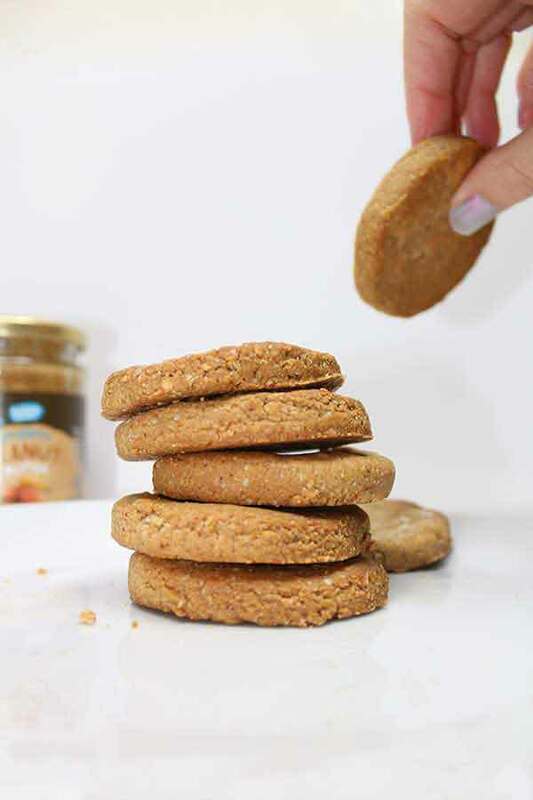 These low carb vegan peanut butter cookies are soft, sweet and nutty. 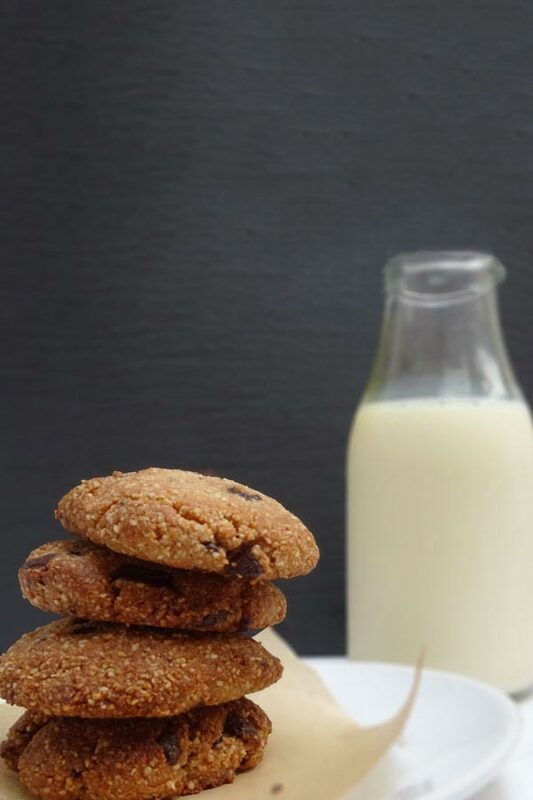 If you’re looking for oil-free or gluten-free cookies, this recipe ticks all those boxes! And for those who allergic to nuts, I’ve even included adaptions so you can make them allergy-free cookies! Usually, when I’m testing out a recipe for the first time there are almost always a few tweaks that I need to make. Most of the time I make the recipe at least 2 or 3 times until I get it just right. But this recipe turned out perfectly the very first time! I was originally planning to make a peanut butter and banana sundae this week. But when it came around to actually making it, I realised I hadn’t frozen my bananas. Fail. Aside from my almond flour cookies and Christmas cookies, I haven’t really played around much when it comes to cookie recipes without eggs or milk. How do you make cookies without eggs or milk? There are actually many options for an egg replacement in cookies, such as flax “eggs”, chia eggs, bananas, apple sauce, and vegetable oils. But these vegan peanut butter cookies require no dairy or egg substitute for baking. The ingredients are naturally vegan and form a dough very easily when combined. Which makes them one of many super quick and easy vegan desserts! So, How Do You Make Vegan Peanut Butter Cookies? Are you ready? The 3 ingredients are peanut butter, maple syrup, and ground almonds. All you have to do is mix it up, roll it out and bake until golden! And if you have allergies to nuts, check out the substitutions below to make 3 ingredient allergy-friendly vegan cookies! Feel free to experiment with other flours too and let me know your results! The oatmeal flour makes the cookies a little crunchier too, so if you prefer crunchy cookies then definitely use oats instead of almonds. And that’s it! 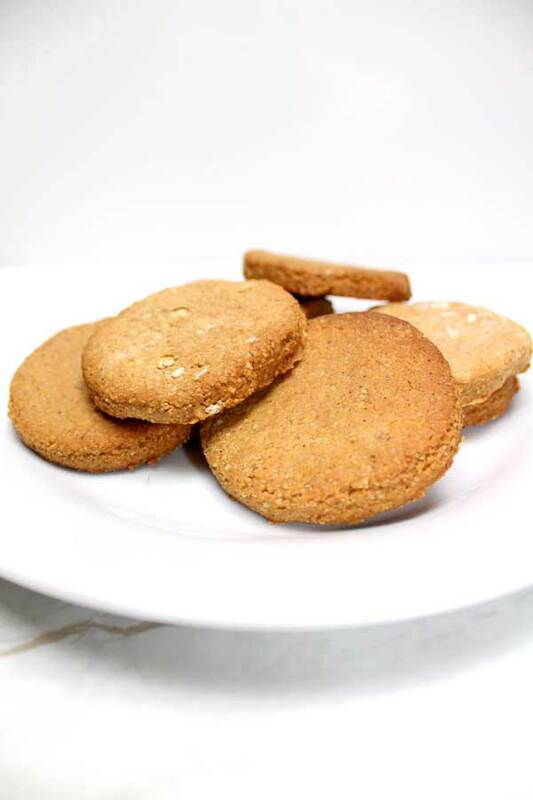 Let me know how you enjoy these simple vegan peanut butter cookies. 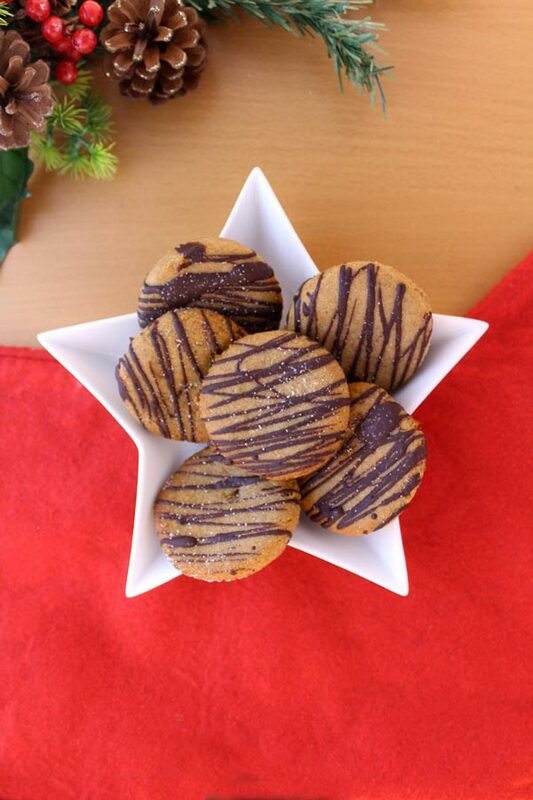 A 3 ingredient soft cookie recipe that's vegan-friendly and naturally sweetened. Whether it's oil free vegan cookies or low carb this recipe is one of my favourite gluten free vegan cookie recipes of all time! Lightly flour a surface with almond/oat flour and roll the dough to around 3cm thick. Cut out your cookie shapes, place on the tray and bake for 12 minutes until golden brown. 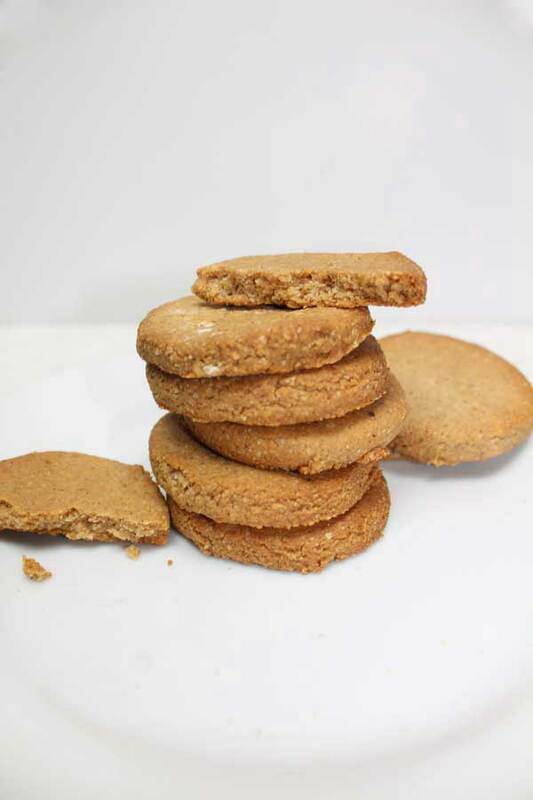 These cookies can be stored in an airtight container for up to 1 week. **For a soft cookie use ground almonds. If you like your cookies crunchy, use oat flour.